Well this month is an exciting month as we have a new Sketch Designer and 3 new layout designers to introduce I am sure you will find these amazingly talented ladies inspiring as I do please welcome them. Hi there...My name is Julianne McKenna-De Lumen, better known as Jules The Bling Princess. I have been scrapping for 6 years, and I am the owner of Scrapbook Kits With a Difference (formerly known as Scrap With V). I've been fortunate (and blessed) to work on Design Teams for Zva Creative, Helmar USA, Pencillines, Color Combos Galore, Imaginarium Designs Chipboard, and Crafty Sketches. I have been published in Scrapbook Creations, Scrapbooking Memories, and Scrapbook Trends. I don't have a specific style - I'm influenced by my mood, the products I use, the papers, and the photographs. However, I do have a fondness for bright colours, bling, and mists, (not to mention washi tape, chipboard and flowers, lol!). More recently, I have begun designing sketches for Scrapbook Kits With A Difference, Crafty Sketches, and now Sketches With A Twist. I look forward to inspiring you with new sketches,and new challenges, that will hopefully get your creative mojo flowing. 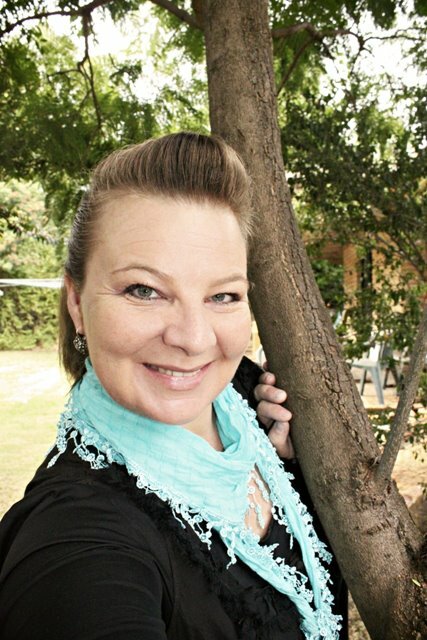 You can find out lots more about me on my blog: Jules The Bling Princess (http://julestheblingprincess.blogspot.com.au/). 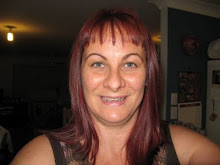 My name is Jodi Dolbel and I live in a small country town in NSW called Gunnedah. I am on the road to becoming an empty nester, my babies are all grown now and I am patiently waiting for the time when I can scrap grandchildren layouts! My daughter is away living her life with horses, and my son is still here doing his thing, but that thing is NEVER infront of the camera! So most of my photos will feature my beautiful daughter Emelia and her horses! My Hubby is living his mid life crises through motorbikes, so you might often see him in layouts competing in drag competitions. 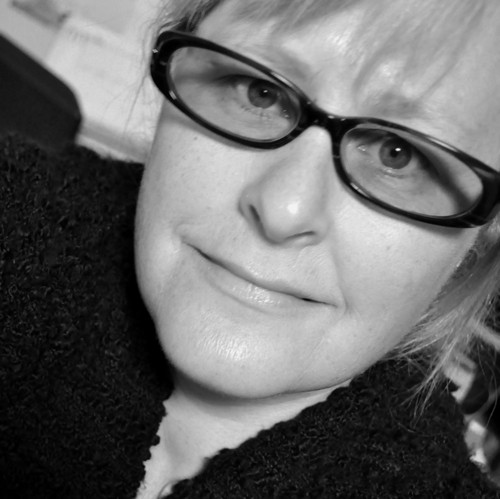 And when things get really desperate you will find my "selfie" layouts! I have been a little quiet on the scrapping front lately, having just completed a year on the Kaisercraft Design Team. I have also had lots of places on other design teams, chipboard manufacturers Teams and creative teams, but I am really looking forward to working with the fabulous talent her at SWAT. Wonderful Children Ethan 9 1/2 & Chloee 8. & techniques of Scrapping! I do however Love dimension with all my work!!! I have been scrapbooking (modern-style) since Jan. 2001 and have a passion for grunge and mess. More recently I have been exploring shabby chic and am enjoying adding more fine details to my layouts. My style varies from plain and simple/graphic to elaborately embellished and everything in between. I love to play with techniques and often sew and paint as well as misting on my pages. I am a huge fan of Tattered Angels products and have been smitten with mists since I first discovered them. I am constantly amazed at what they will stick to and how I can use them to modify what I have in my stash. I have a dedicated scrap-room in our big shed and love to spend time there as much as possible. I have been regularly published in the Aussie mags for a number of years and have a permanent DT position with Alison Ellis Designs. I was a member of the Tattered Angels Design Team for 2011 and am currently doing freelance bits and pieces for retail. I am also on the Scrap Sanity Challenge blog team (This One’s a Winner) and Paper Issues blog team. On the more personal side, I am happily married to a marvelous and supportive man and together we have 4 children (3 boys and a girl) aged from 17-8. We live in a country town in regional NSW on a 2 acre block with chickens, a dog, and a gorgeous garden/yard. I am a work at home mum and do the paperwork for our business as well as helping out at school with crafts. A big welcome to you all! 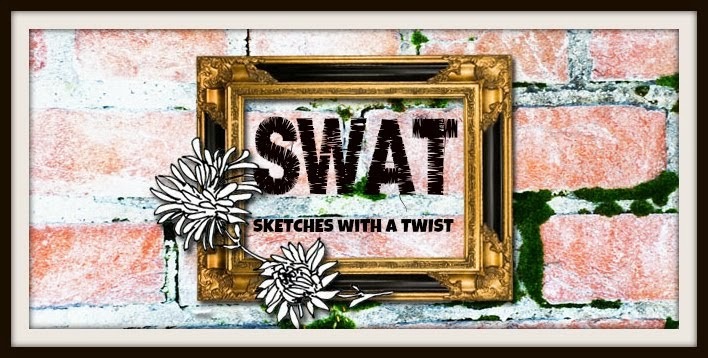 I am excited to be creating with you at SWAT! !